Jacksons Lane’s buzzing Cafe Theadro serves a wide range of home cooked meals, delicious freshly baked cakes, aromatic teas and coffees and tasty homemade daily specials including an extensive vegetarian menu. Whether you’re looking for a light-bite, an appetising meal or a relaxing coffee, there’s something for everyone at Cafe Theadro. Ranging from home made tarts to Greek speciality main courses, be sure to check out the specials board on your next visit. 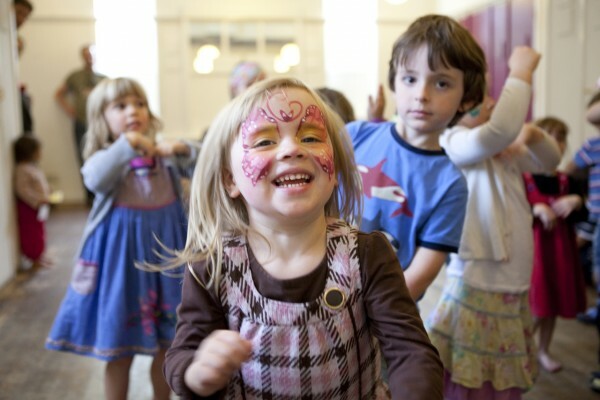 Jacksons Lane welcomes families and children in the venue. Cafe Theadro offers a delicious and healthy children’s menu. Please note that children must be supervised at all times at Jacksons Lane. Opening hours are subject to change and are dependent on events running within Jacksons Lane. On show nights, the cafe will usually remain open until the program start time. Please check with the Box Office when planning your visit. Jacksons Lane's Bar is open for all evening performances, serving a wide range of bottled beers, wines and spirits. The bar will open one hour before the start of the performance and will remain open throughout the performance. Audiences are welcome to take drinks into our auditorium in plastic cups only. Food and drink that has not been purchased from Cafe Theadro or Jacksons Lane’s bar cannot be consumed onsite. Any glass bottles will be confiscated from the auditorium.